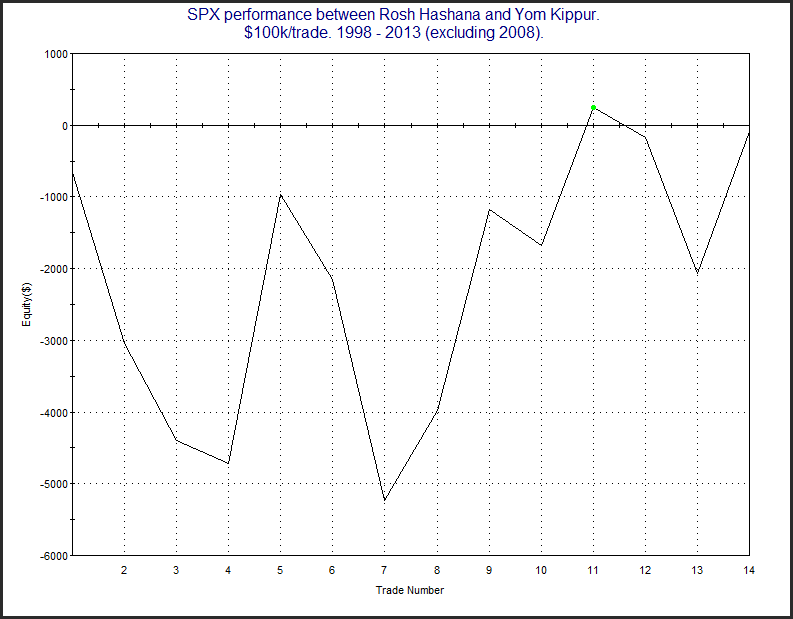 Home » Quantitative Study » Sell Rosh Hashana and Buy Yom Kippur? 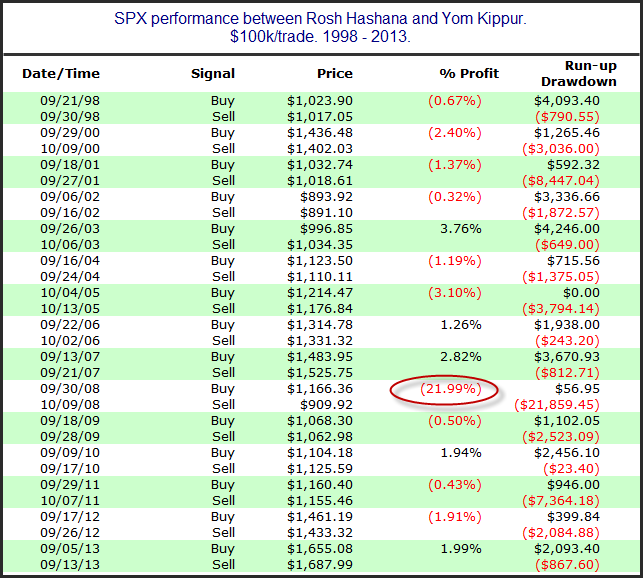 Sell Rosh Hashana and Buy Yom Kippur? At first glance there appears to be a solid bearish tendency. But the total loss appears to be thanks to primarily 1 instance. Here is a look at all the trades. 2008 was the big standout here. I wondered what a profit curve might look like without 2008 included. Here is that. Very choppy and it has gone effectively nowhere. Overall, my impression is that there may be some truth to the adage. But the dates are variable. They often fall during times in which there is weak seasonality (like the Weakest Week – this week). So I don’t think there is a reliable trade here, but perhaps the potential weakness is worth keeping in mind.